vet expenses to hoof picks. True Magic arrived at Hope’s Legacy in September of 2018. The top photo is from the day after he arrived. The bottom photo is from March of 2019, just six months later. This is what your support makes possible. We are not able to make these amazing transformations happen without you. We have purchased 172.2 acres of land just outside of Batesville, Virginia. Invest with us to provide a permanent and secure future for the horses of Hope’s Legacy Equine Rescue. It is easy to donate! or click the donate button above. Hope's Legacy's 2019 Operating Budget is $132,000. 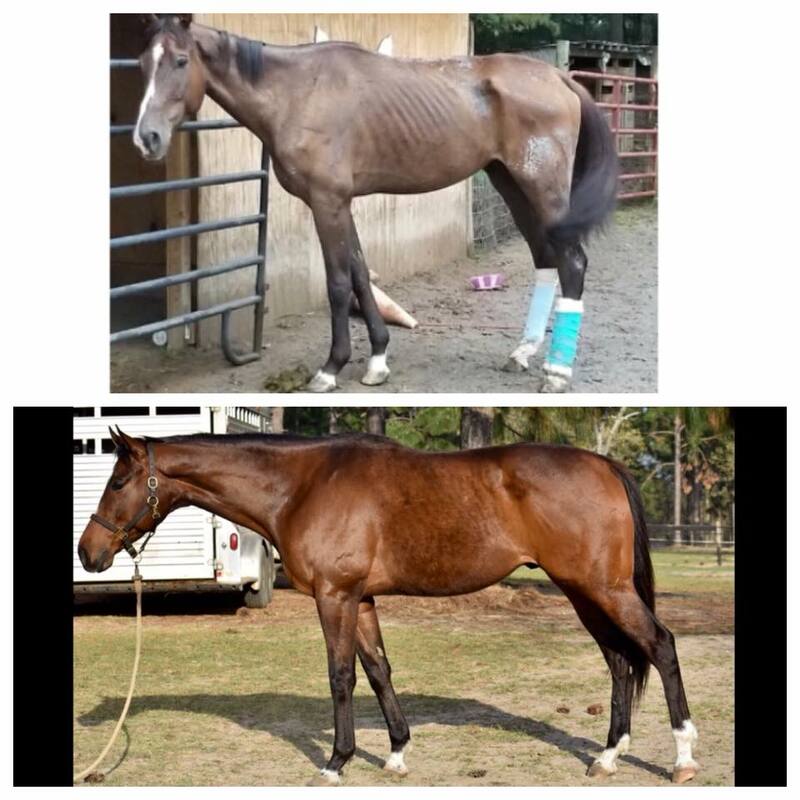 Donations to our Annual Fund help support all of the day-to-day expenses such as feed, hay, vet, farrier, insurancE, etc. Please consider becoming Blue Ribbon Donor with a monthly sponsorship. who are permanent residents of Hope's Legacy. (check "Make This Recurring (Monthly)" box on the Donate page). Planned Giving, whether through wills, trusts, or annuity payments, all with tax advantages, can be used to enhance your philanthropic options.